PHOSPHORESCENT IS Alabaman singer-songwriter Matthew Houck and he is Phosphorescent in the way Neil Hannon is the Divine Comedy and Trent Reznor is Nine Inch Nails. Houck’s music embraces Country-rock and indie-folk. He began recording and performing under the Phosphorescent moniker in 2001 and has released the albums A Hundred Times or More (2003 ), Aw Come Aw Wry (2005 ), Pride (2007 ), Here’s to Taking It Easy (2010 ), and Muchacho (2013 ). He also recorded an album of songs by Willie Nelson, 2009’s To Willie. This uptemo, horn driven country number got 2010’s excellent Here’s To Taking It Easy off to a flying start. A touch of The Eagles here on this song. This video comes from a live performance of the song and is a good taster for the Galway show in July. From Pride, this is a desolate, haunting folk-country number. 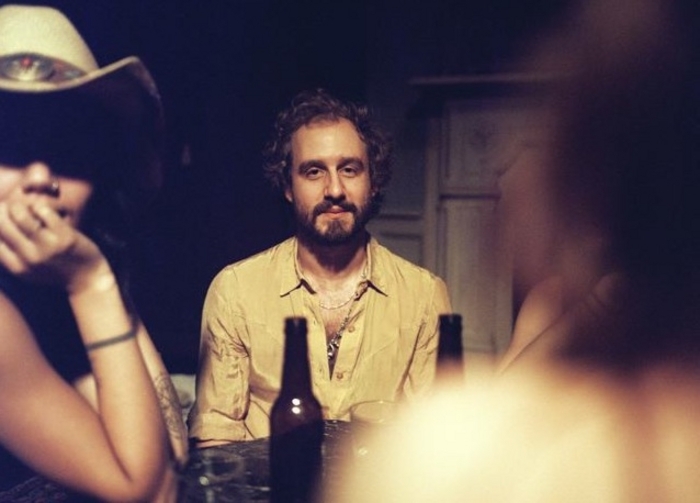 From Phosphorescent’s most recent album, Muchacho, this is a melancholy country epic. Possibly the stand out track on Muchacho, another mighty epic, and one to raise the hairs on the back of your neck.